The green fillers are available according to its seasonal parameters. The ribbons and wrapping papers can be used again for decorative purpose. 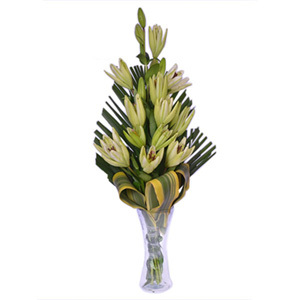 Lilies have been widely used in Asian medicine as it contains various medicinal medicines. 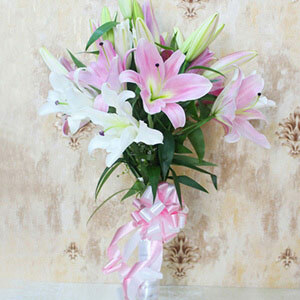 The flower is cultivated for the flower as well as its bulb which is edible. 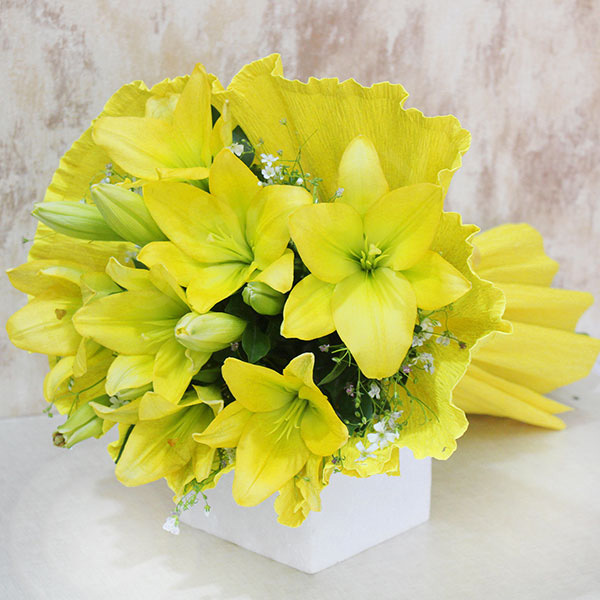 This bouquet is incredible in its appearance as is shows the beauty of yellow. This makes a wonderful gift to convey the amount of love that you have in your heart for someone special. 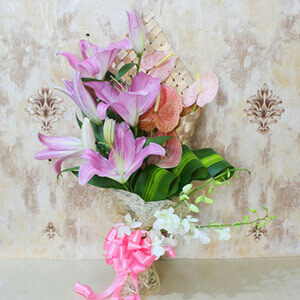 So, place and order for this bouquet and surprise the recipient with its beauty! There is no doubt about that! 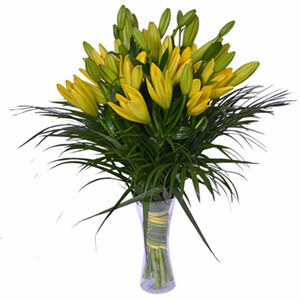 Lilies looks very pretty and are freshly delivered at promised! My mother just loved this bouquet. Thank you giftalove for creating such memorable moments. The beautiful yellow lilies wrapped in yellow paper looked incredible. The flowers were fresh and the wrapping paper was also of good quality. This bouquet was delivered on time. Overall a great experience with giftalove.